Choose the size that’s right for your job. 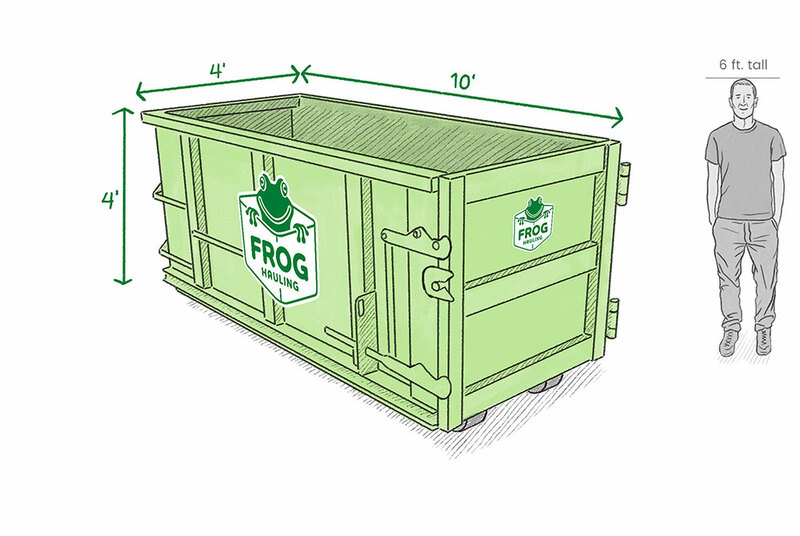 The right size container for 90% of all Columbus homeowner’s and remodelers needs. Don’t pay for more hauling container than you need. Every effort possible is used to recycle your property. We are the only Columbus hauling service the provides the ability for the customer to help recycle their property. 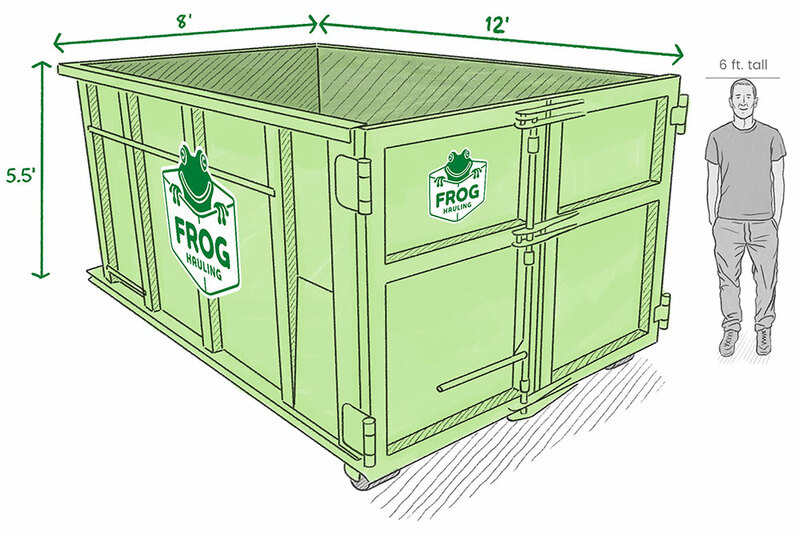 With mini containers (dumpsters) you have control of the whole hauling process. Everything is done on your schedule. Call and schedule a container to be delivered and pick-up at your convenience. 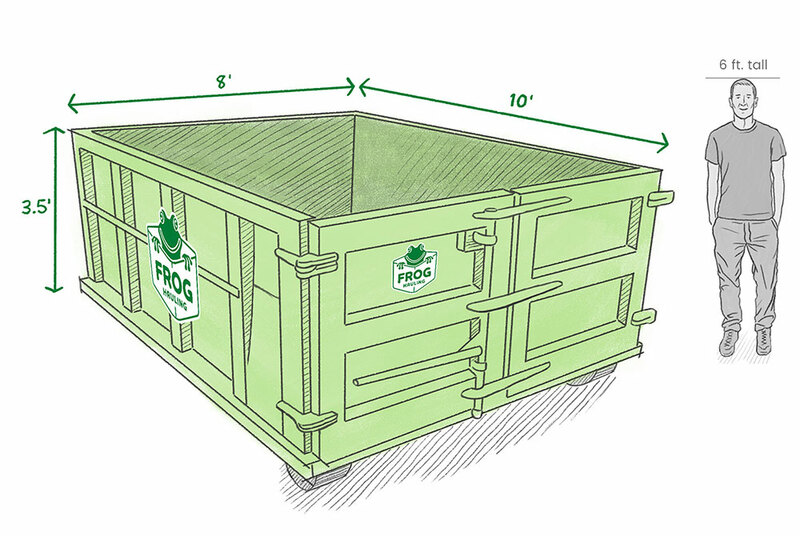 Our mini containers(dumpster) sizes vary from 6-20 yards and are placed on your property using a unique delivery system. 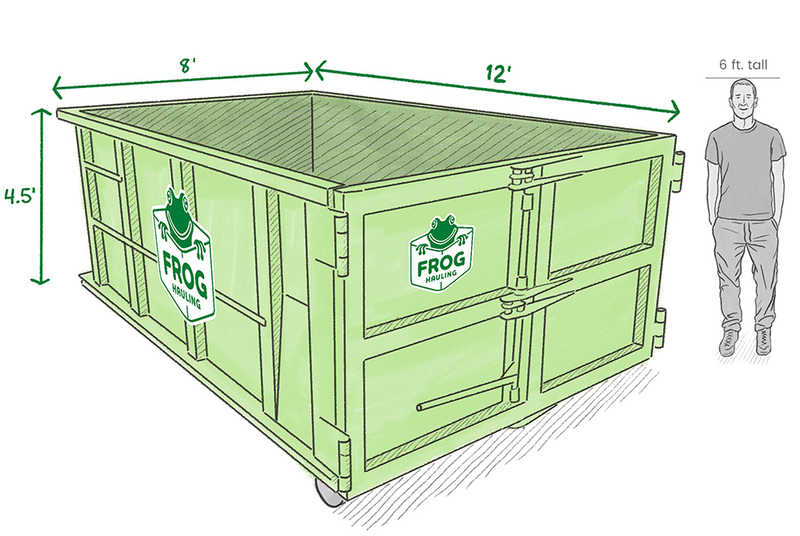 Our containers (dumpsters) are designed to fit perfectly in the average size driveway. 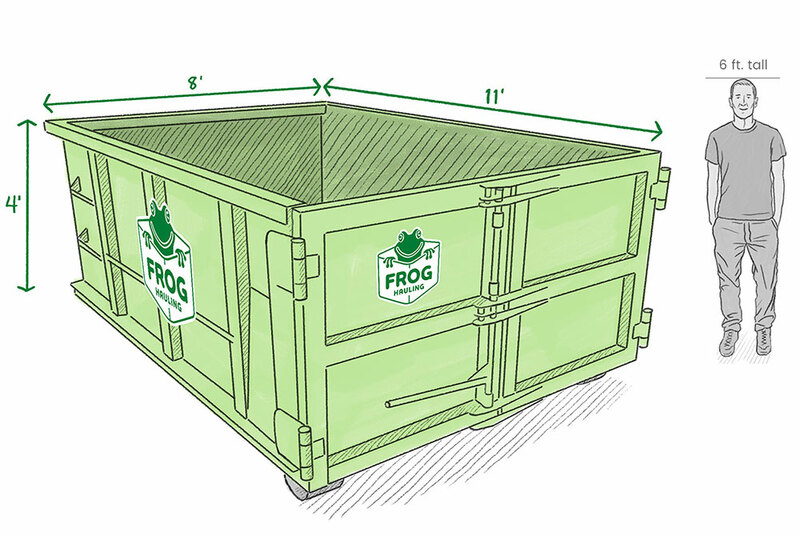 Our containers (Dumpster) trucks are designed to minimize weight placed on your driveway. All containers are placed on protection boards. The containers (dumpsters) never touch your driveway. When you need a Hauling service in Columbus, Frog Hauling’s fast and reliable customer service is delivered by uniformed professionally trained and helpful employees.